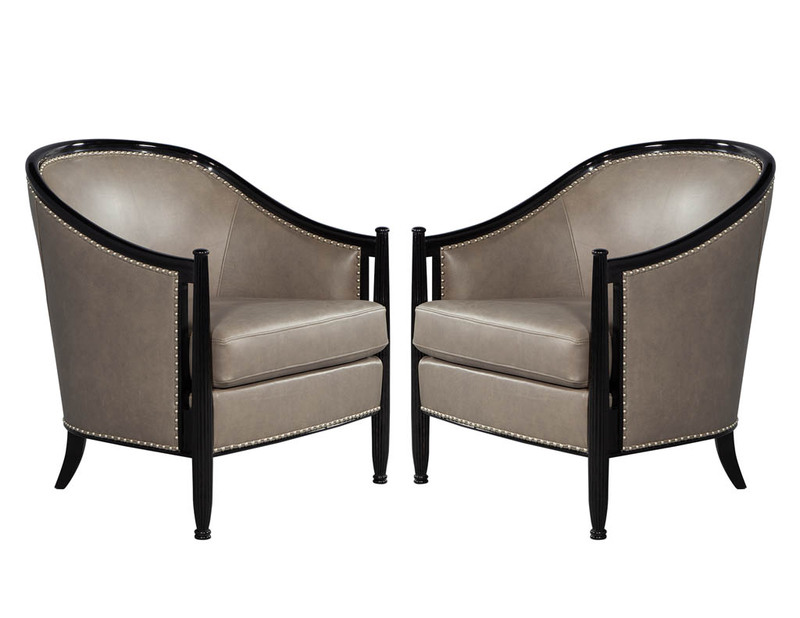 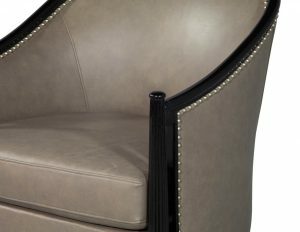 Carrocel custom made Art Deco Style Chairs. 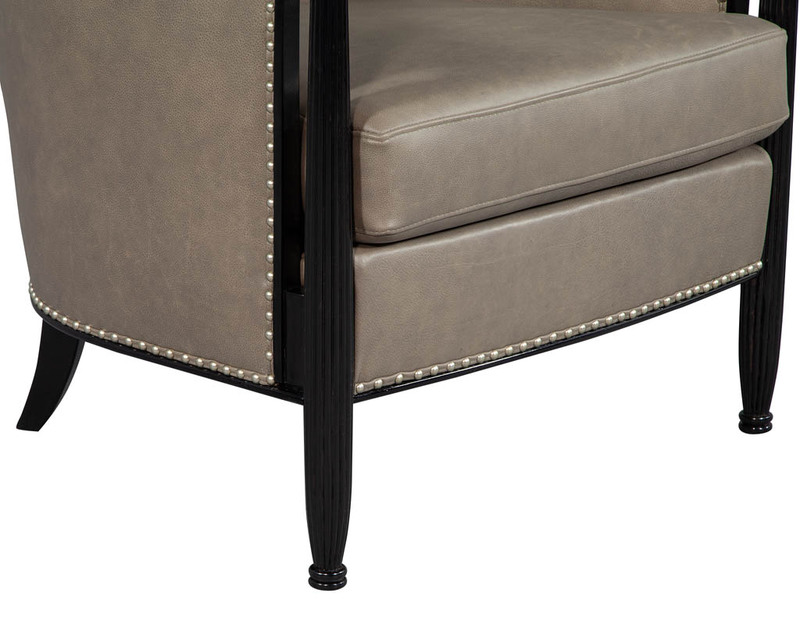 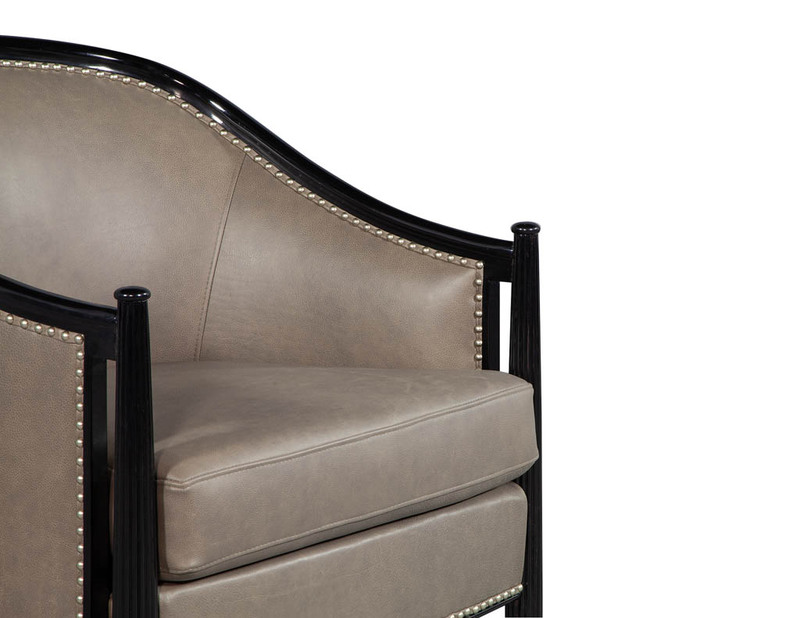 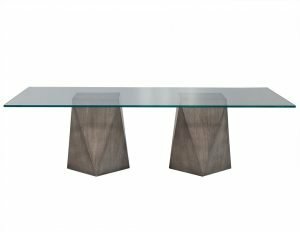 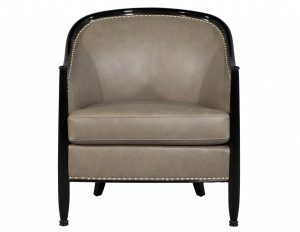 Sleek design with period styling and proportions. 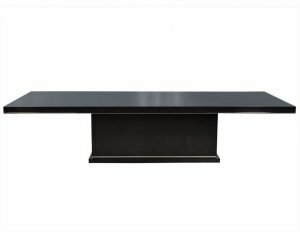 Finished in a hand rubbed high gloss black lacquer, accented with nickel head to head hand applied furniture nails. 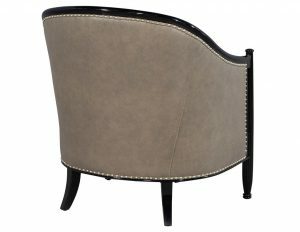 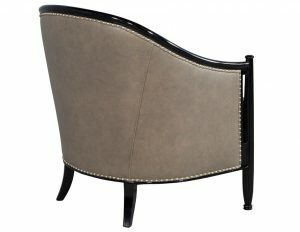 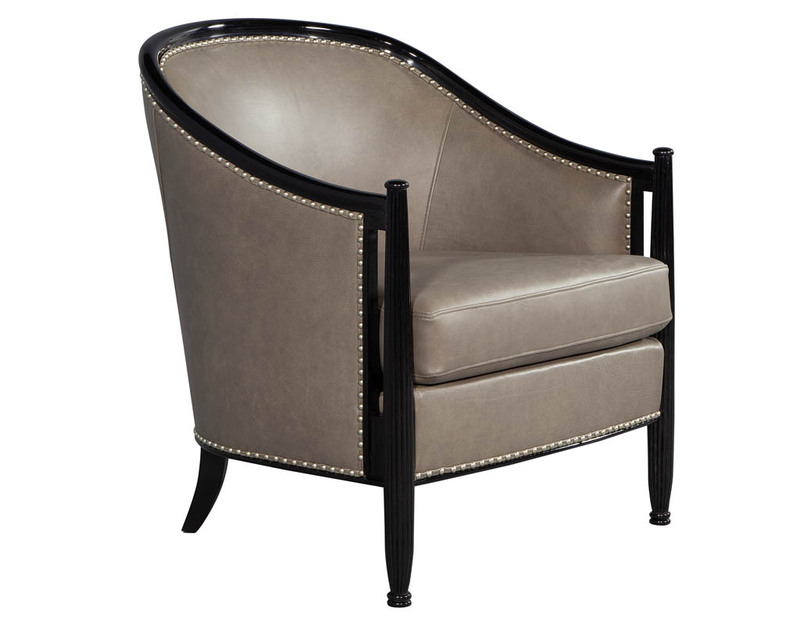 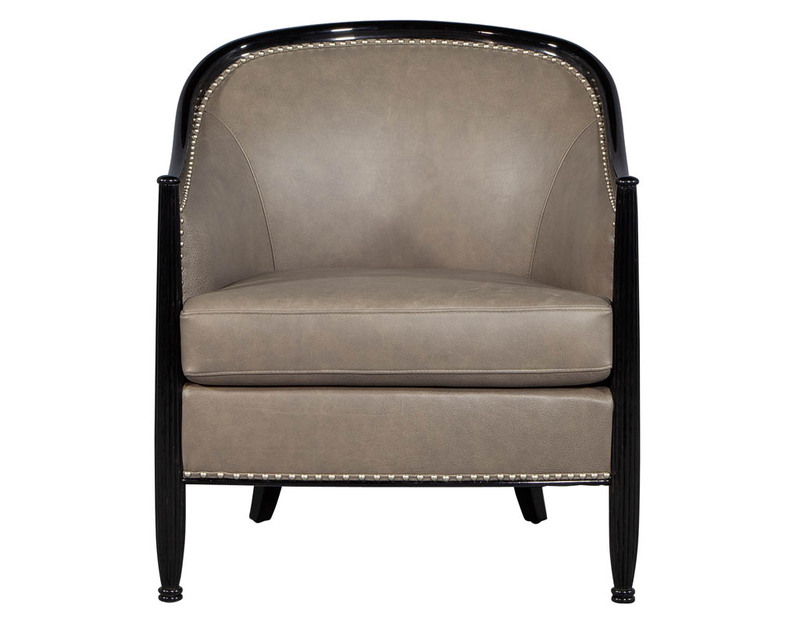 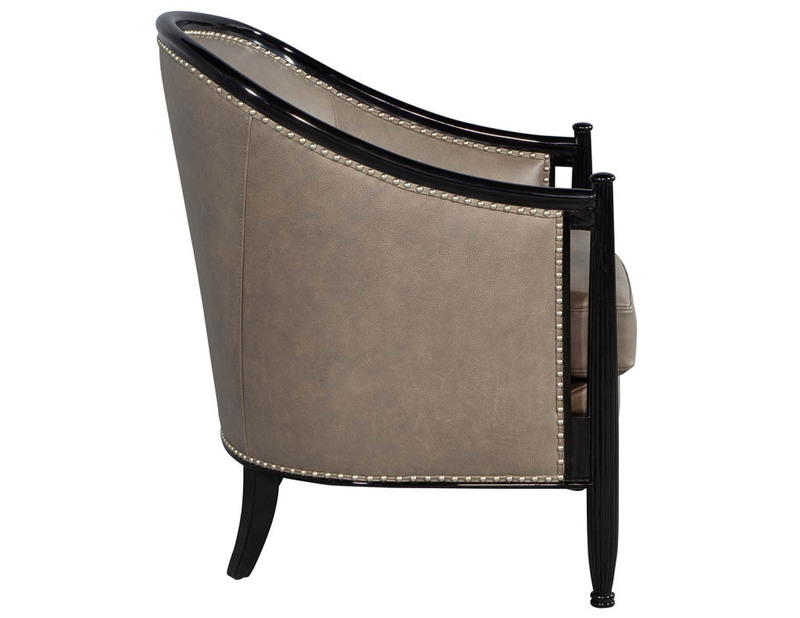 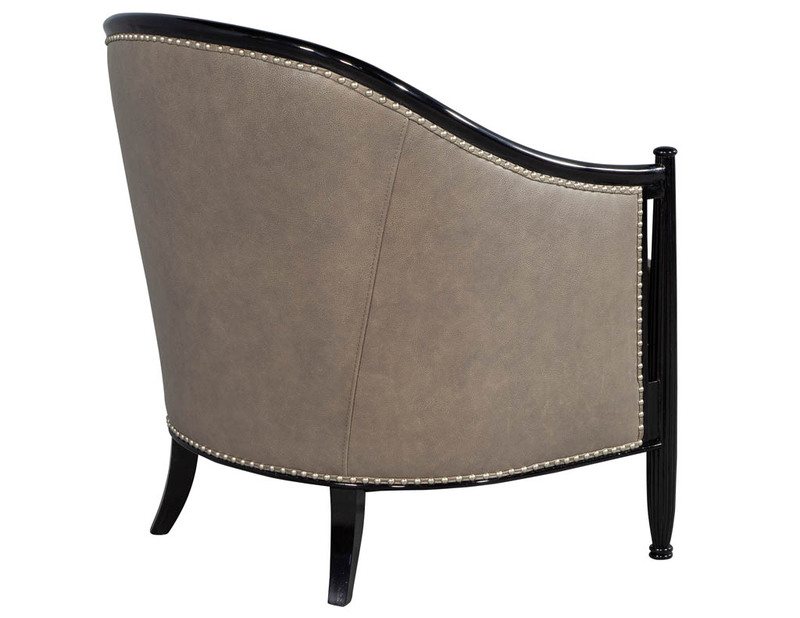 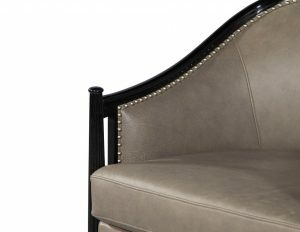 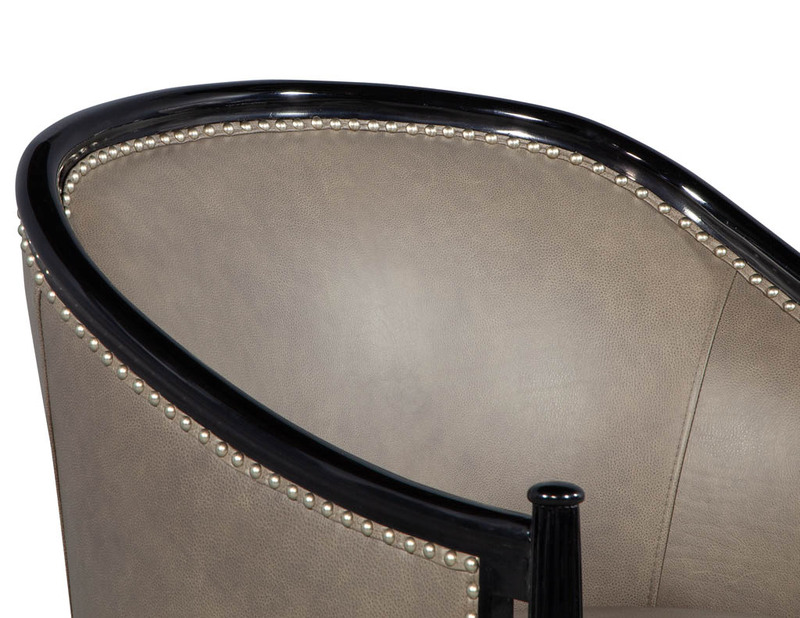 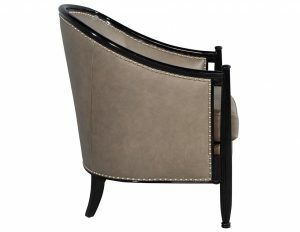 Upholstered in an Italian butter soft distressed taupe grey leather. 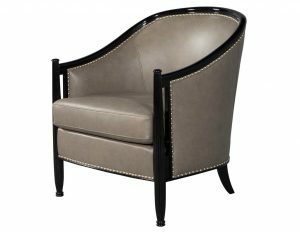 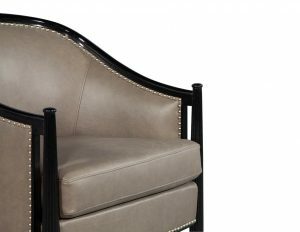 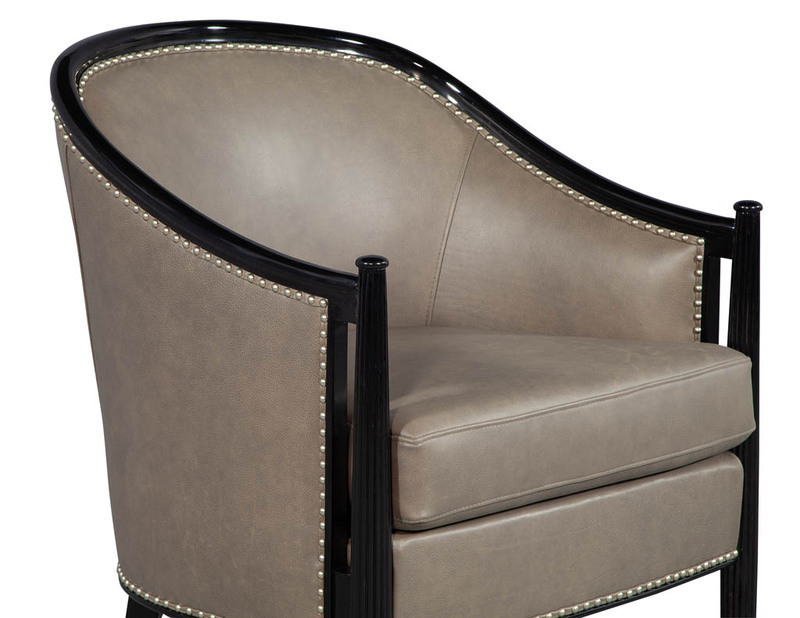 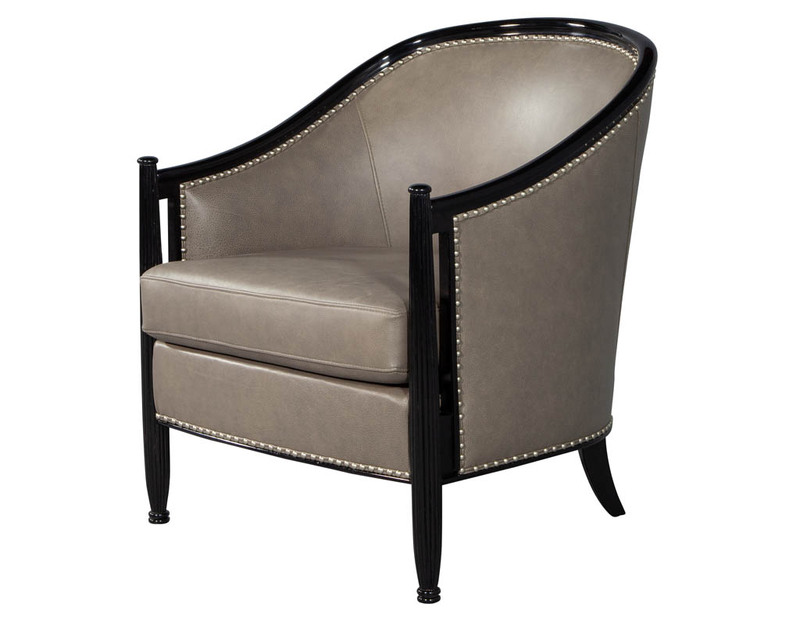 These chairs can be custom finished and upholstered. Please inquire for pricing and options.